Bethesda on Monday revealed that beginning next week, it’ll be rolling out a high-resolution texture pack for the PC version of Fallout 4. Official support for Sony’s PlayStation 4 Pro is also in the pipeline, we’re told. The developer described the high-res texture pack as a “love letter” to its amazing PC fans that have supported them not just with Fallout 4, but across multiple decades and games. The free download will require an additional 58GB of storage and more importantly, some beefy hardware under the hood. Bethesda recommends an Intel Core i7-5820K or better CPU, a GeForce GTX 1080 graphics card, at least 8GB of RAM and a 64-bit version of Windows 7/8/10. 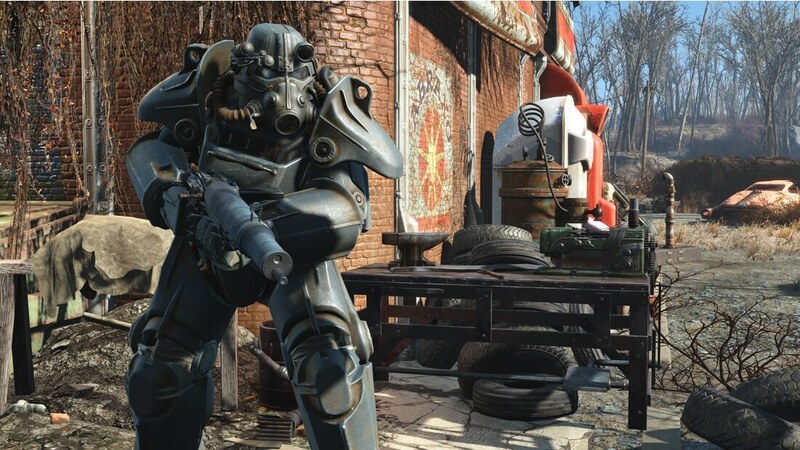 If your system can handle it, Bethesda says the Commonwealth will look better than ever. Should things not run smoothly after the update, you’ll be able to revert back to the original textures via the game’s launcher. Official support for the PlayStation 4 Pro is also coming next week. Update 1.9 is said to harness the power of the console by delivering native 1440p resolution, enhanced draw distance for trees, grass, objects and NPCs as well as enhanced Godray effects. Bethesda also teased a Skyrim Special Edition update bringing new features to Mod content but we’ll have to wait until next week for further details.